A package of 10 pcs. costs 1185 USD. 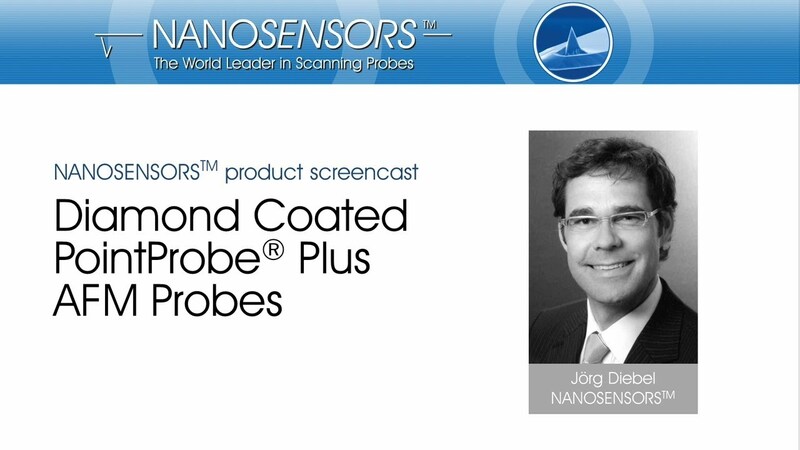 NANOSENSORS™ DT-CONTR probes are designed for contact mode (repulsive mode) AFM imaging. The CONT type is optimized for high sensitivity due to a low force constant. For applications that require hard contact between tip and sample this SPM probe offers a real diamond tip-side coating. This coating features extremely high wear resistance due to the unsurpassed hardness of diamond. The typical macroscopic tip radius of curvature is between 100 and 200 nm. Nanoroughness in the 10 nm regime improves the resolution on flat surfaces. 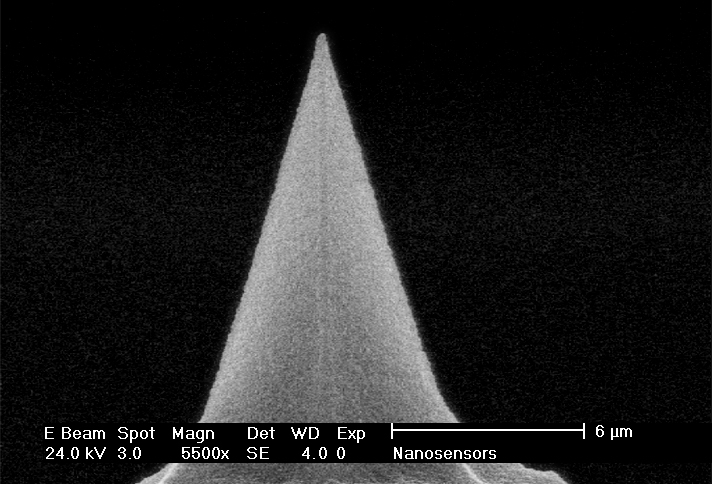 The DT Diamond Coating is an approximately 100 nm thick coating of polycrystalline diamond on the tip-side of the cantilever leading to an unsurpassed hardness of the tip. The raman spectrum of the coating verifies the real diamond coating.